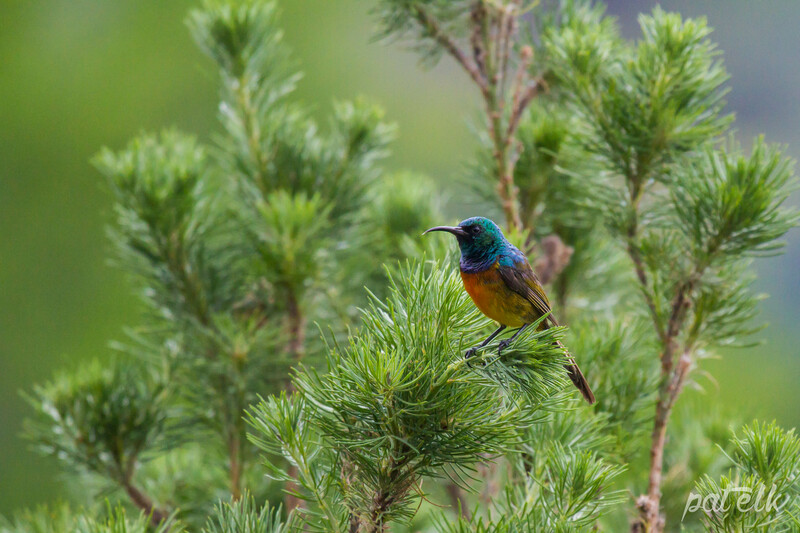 The Orange-breasted Sunbird (Afrikaans name, Oranjeborssuikerbekkie) is one of the most beautiful coloured of the sunbirds. Not seen around as often as the other sunbirds but a beauty to see. 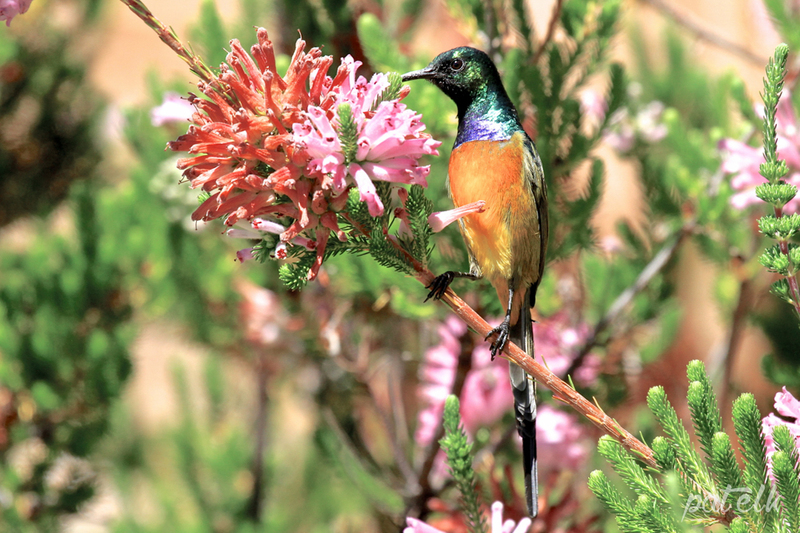 They are endemic to the Fynbos region. 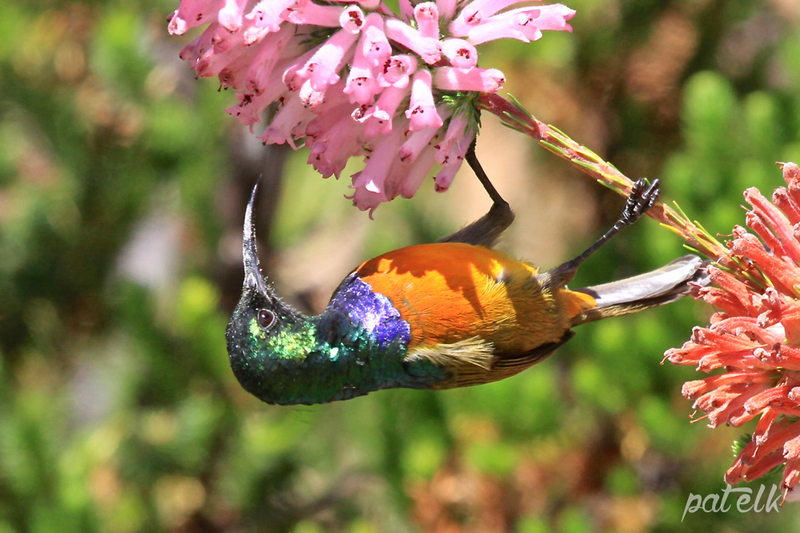 We have seen them in Kirstenbosch Botanic Gardens and in the Harold Porter Gardens.